SRIBP is a professional body working in collaboration with the Academics and Researchers in promoting and enhancing original research for improving professional life at workplace. SRIBP Offers training and certification for further polishing your research skills. We offer business consultancy especially in recruitment, quality assurance and performance management to individuals, businesses, and organisations. We also offer free career counselling to fresh graduates. 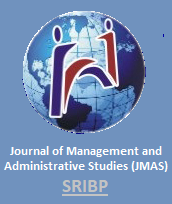 IQRG and JMAS publish bi-annually, in the month of June and December. IQRG and JMAS covers the issues of business and management from qualitative and quantitative dimensions. Accordingly, the aim of IQRG is to enhance the body of knowledge about the management and business through purely qualitative researches with the theme of improving professional life and develop generalizable theory, typically through identification, analysis and theorization of organisational problems. Similarly, the aim of JMAS is also improving the professional life by providing quantitative studies conducted in the organisational settings. The focus of articles should be on the managerial situation. Highest priority is thus given to studies that are anchored in the real world and build, extend or test generalizable theories or frameworks of managerial significance. General topics covered by the journals include; organisational behaviour, administrative sciences, marketing management, strategic management and HRM, performance management, organisational development, occupational stress at workplace, supply chain and operations management, consumer behaviour, financial management, risk management, entrepreneurship, leadership, cultural studies, workplace diversity, and related fields. is a double-blind peer-reviewed online journal published by SRIBP. 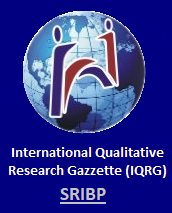 IQRG publishes bi- annually original qualitative research articles from the business and management disciplines. The main theme of the journal is "improving professional life". Manuscript accepted for publication in IQRM must have vision, standard, and qualitative dimensions toward clear practical implications for improving organisational behaviour at workplace. IQRG also publishes insightful meta-analysis of the organisational behaviour literature, conceptual and theoretical studies with clear implications for practices. Contributors are encouraged to submit original scholarly qualitative research papers including but not limited to the following broadly defined topics: organisational behaviour, strategic management and HRM, performance management, organisational development, occupational stress at workplace, supply chain and operations management, consumer behaviour, entrepreneurship, leadership, cultural studies, workplace diversity and related fields. is a double-blind peer-reviewed online journal, that bi-annually publishes original quantitative research articles from business and management disciplines. The main theme of the journal is "improving professional life". Manuscript accepted for publication in IQRM must have quantitative analysis based on primary investigation. Moreover, accepted articles have must clear practical implications for business sector. Contributors are encouraged to submit original scholarly quantitative research papers including but not limited to the following broadly defined topics: organisational behaviour, administrative sciences, marketing management, strategic management and HRM, performance management, organisational development, occupational stress at workplace, supply chain and operations management, consumer behaviour, financial management, risk management, entrepreneurship, leadership, cultural studies, workplace diversity, and related fields. To support this open access journal, we have an honorary charge of £150 for publication of an accepted manuscript.